Us, new mums, can go OTT when a baby is on the way. That bundle of joy you are expecting is so special that every time you pass by a baby shop or see baby stuff online you feel as if your baby will need it all. The reality is very different, a baby doesn’t need that much aside from endless love and your full time attention. Particularly during the first weeks, when you have to figure it all out by yourself and no amount of things will help you on this. I’ve done my research and based on my experience I’ve curated a list of items my newborn and I are loving. A Moses basket looks so cute that I really wanted my baby to sleep in one. However, she didn’t love it as much as I did, and only slept in it during naps. Somehow , it was difficult for her to sleep during the night in her Moses basket because she got too used to the cushy comfort of the Sleepy head. The sleepyhead is quite a popular item amongst mothers with newborn babies and I’m not surprised. This has turned out to be my baby favourite sleeping place after my lap . It is a portable bed in the shape of a little mattress that feels very safe because it is padded around the edges so the baby can’t roll to the side . It is also very practical as it is mobile and you can take it anywhere. 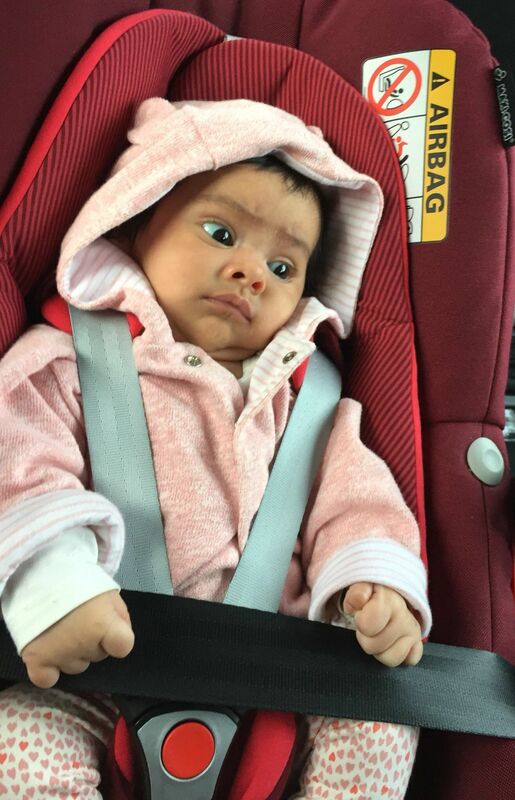 Travelling with a newborn? Sorted. I love that I can put the Sleepyhead next to me while I sleep. Also, if she cries during the night , it is very comfortable for me to feed her as she is right by my side. 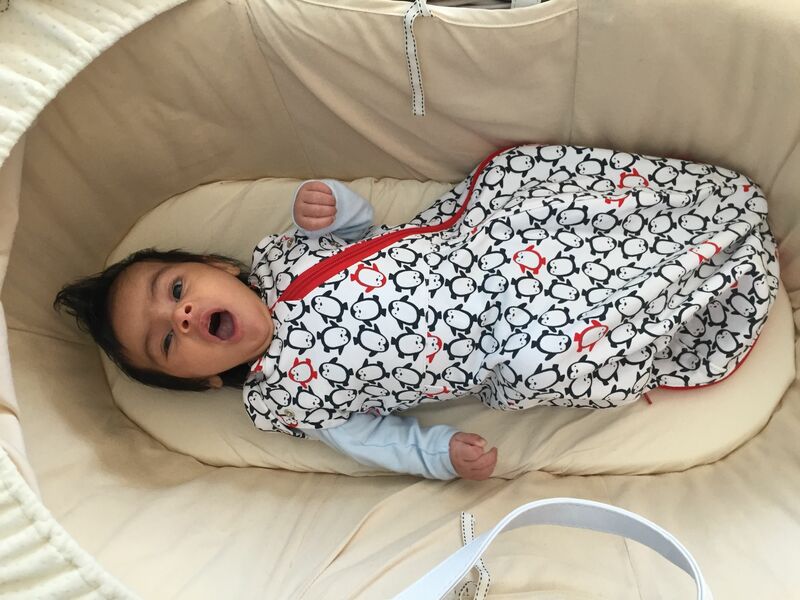 It is advisable of course for babies to always sleep in their cots but somehow the cots feel quite big for a newborn so you can always put the Sleepy Head inside the cot. 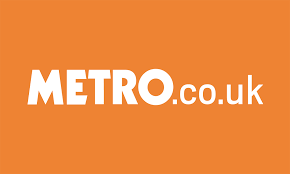 There are a lot of brands that offer high-quality prams and carrycots , however, they are quite big and not practical for busy city mums who take the bus,the tube and the train to move around. 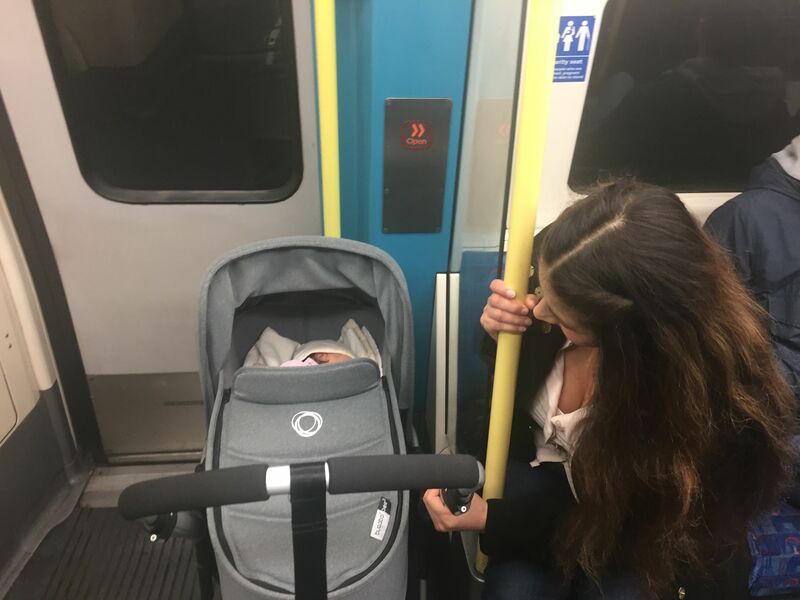 I was looking for something compact as I am constantly on the go.The Bugaboo Bee 3 was perfect for someone like myself who relies on Transport for London to move around . I could lift the pram when getting on and off the bus or going downstairs in the underground as it is not heavy. It is also compact enough to fit in a taxi and quite easy to fold .I like that it is discreet and perfect for the bus where only two prams are allowed. 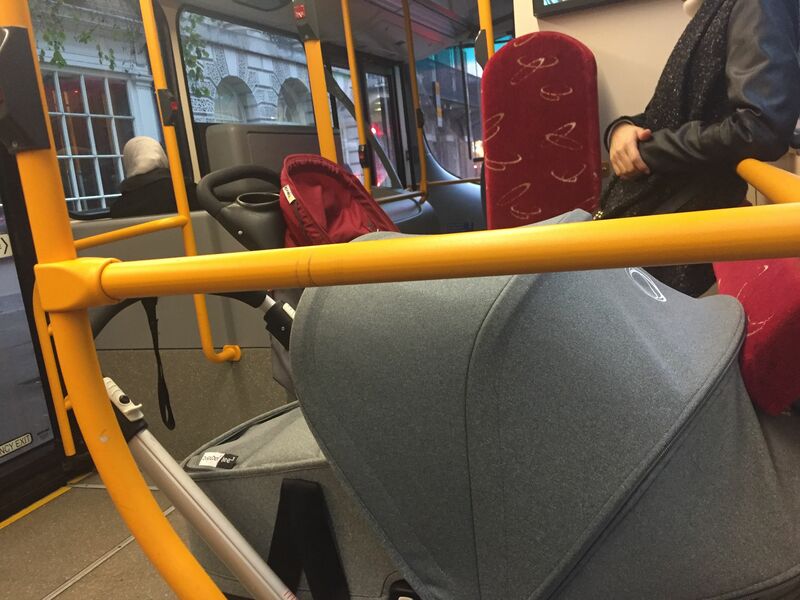 Considering London Buses are now giving priority to wheelchair users over babies in their prams it is time to be considerate so forget about those huge buggies occupying the whole space and go compact. This is such a cute looking sheep that not only my baby loves it but everyone who comes to visit shows some kind of connection with this sweet looking sheep . 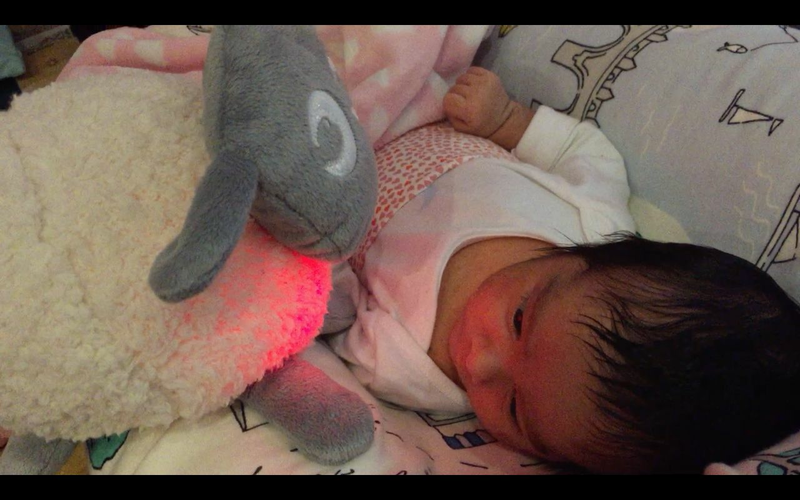 Ewan The Dream Sheep makes noises similar to the noises the baby heard while in the womb so it has a soothing effect. 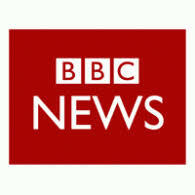 It is quite sophisticated as the heartbeat and womb sounds are actual recordings, not computer generated. Ewan won’t stop the crying but I’ve tried it during crying fists of the little one and for a few minutes while Ewan plays music or makes noises , it caught the baby attention and kept her curious. 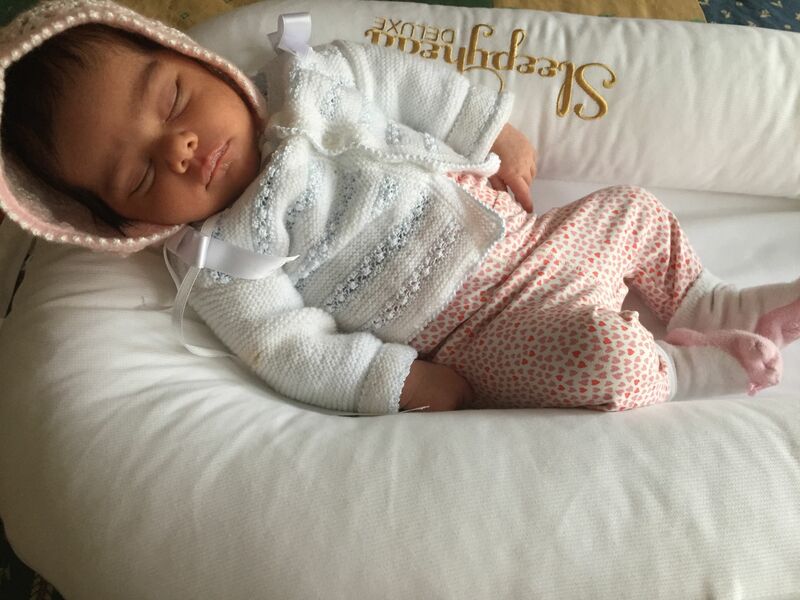 It is great also when she is awake in her cot as it helps with focusing and listening. I loved using these products by The Gro Company. The Gro-hush is a white noise baby calmer that transmits soothing ‘white noise’ directly to the baby. It kept mine relaxed and her happy self. 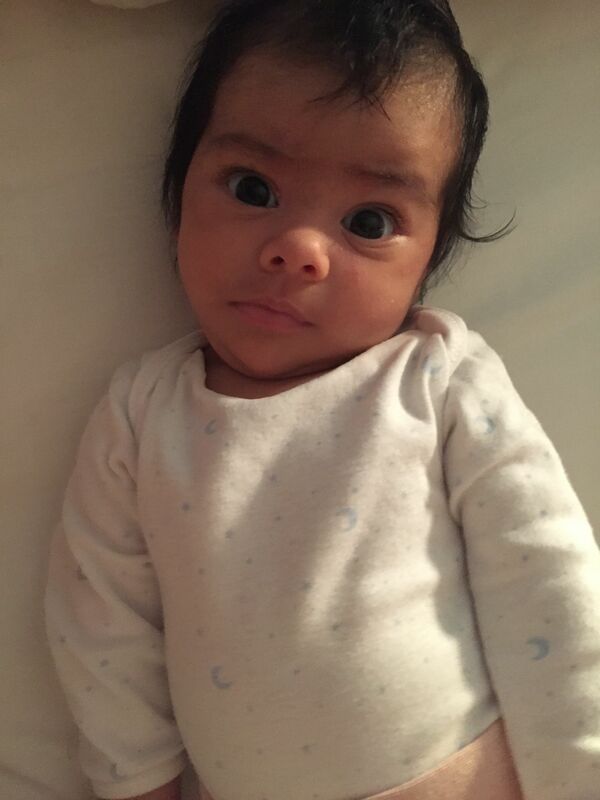 She is a good baby and doesnt cry that much but when she does I always have the Gro-hush handy to soothe her a bit. 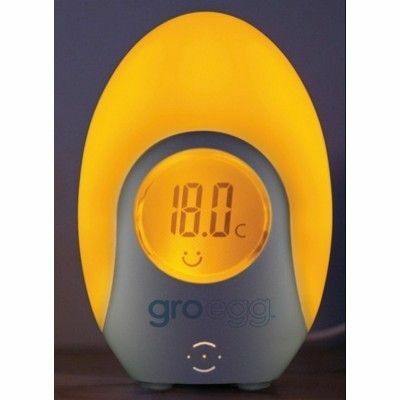 The Gro-egg lets you know whether the temperature of a room is too low, too high or just right, helping you maintain a safe sleeping environment for your baby.It made my life easy when I came back from hospital on a cold November evening and had to feed her through the night. The Gro-snug , couples as a grobag and a swaddle. 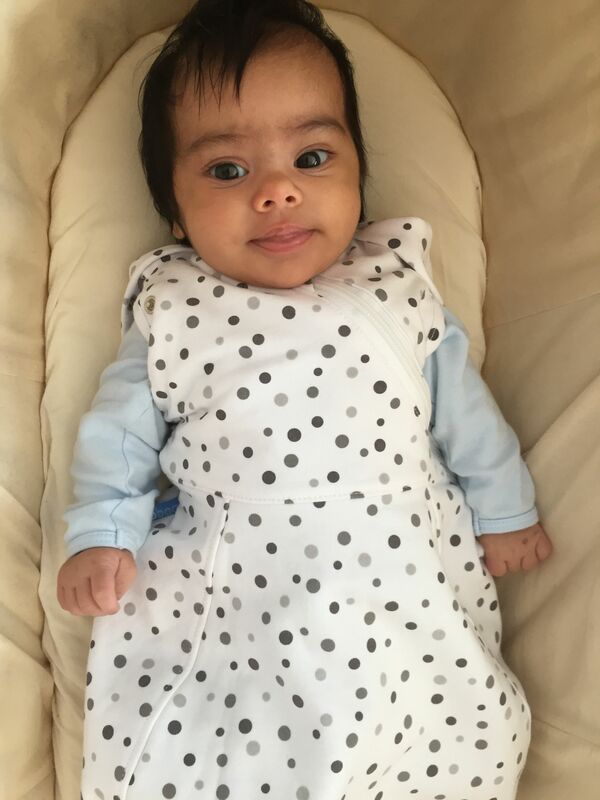 The fabric feels super cosy and the side zip makes for easy nappy changes in the middle of the night and doesnt disturb the baby that much.It is also very easy to put on and take off. 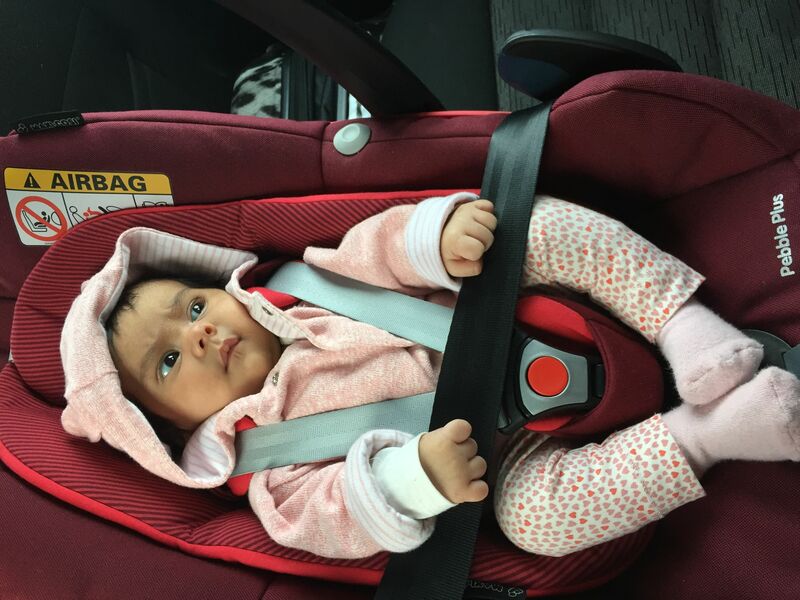 This car seat is defo a must have for every parent ,it offers top safety performance and convenience. 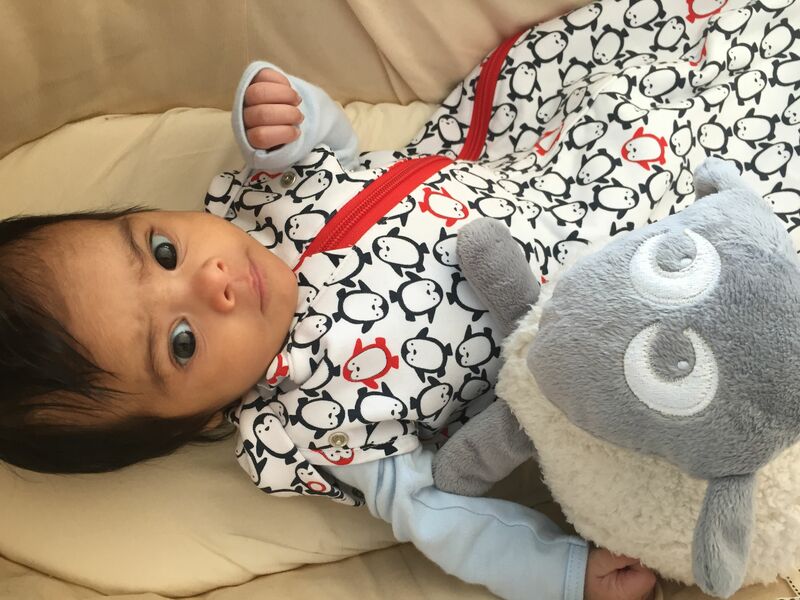 The Maxi Cosi Pebble Plus is not only comfortable for the baby – mine felt all snuggly and comfy, as if she were in her baby swing- but it is super safe and that is my main priority. 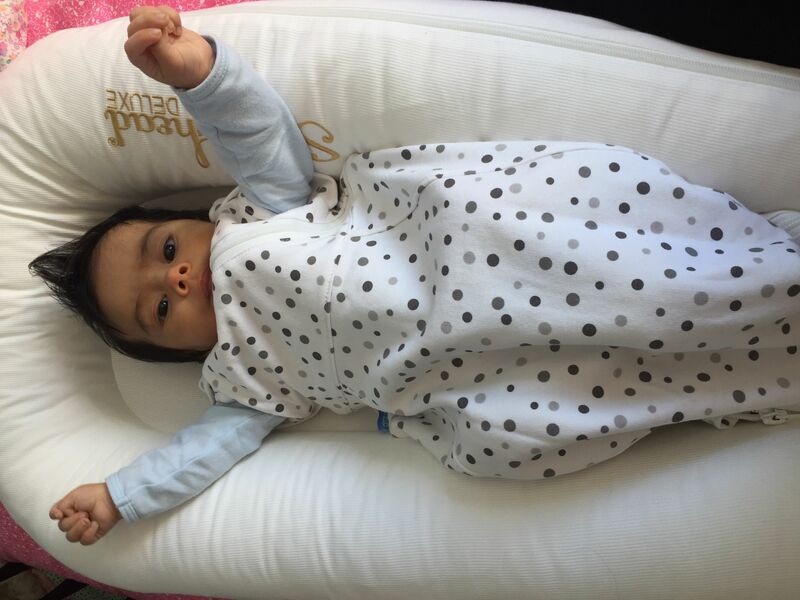 The Maxi-Cosi Pebble Plus truly is a state-of-the-art item at an affordable price and I can use it till she is approximately 12 months. 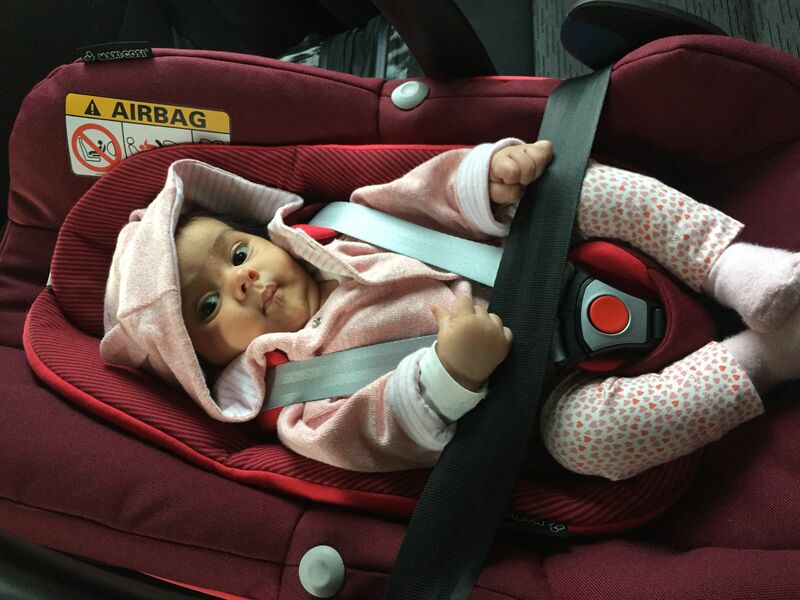 You attach the base to your car but when you are travelling without it you can use the Pebble Plus on its own and attach it safely to the seat via the car seat belt , as I did in the photos below when travelling to the airport by taxi. It is compatible with all Maxi-Cosi and Quinny pushchairs, as well as many other brands, the Pebble Plus can be easily clicked onto a pushchair to create a flexible travel system if you buy some compatible adaptors. Aw the baby is the cutest thing I’ve ever seen in my life. My sister is pregnant so i was thinking in getting the Bugaboo but it is a bit pricey, do you think i can get away with a cheaper brand ? Thanks for your comment, The Bugaboo is great for city life because it is compact and light. The wheels can get a bit challenging if you live by the countryside and like walks in the park or similar terrains, but for , for travelling and London it has been great.